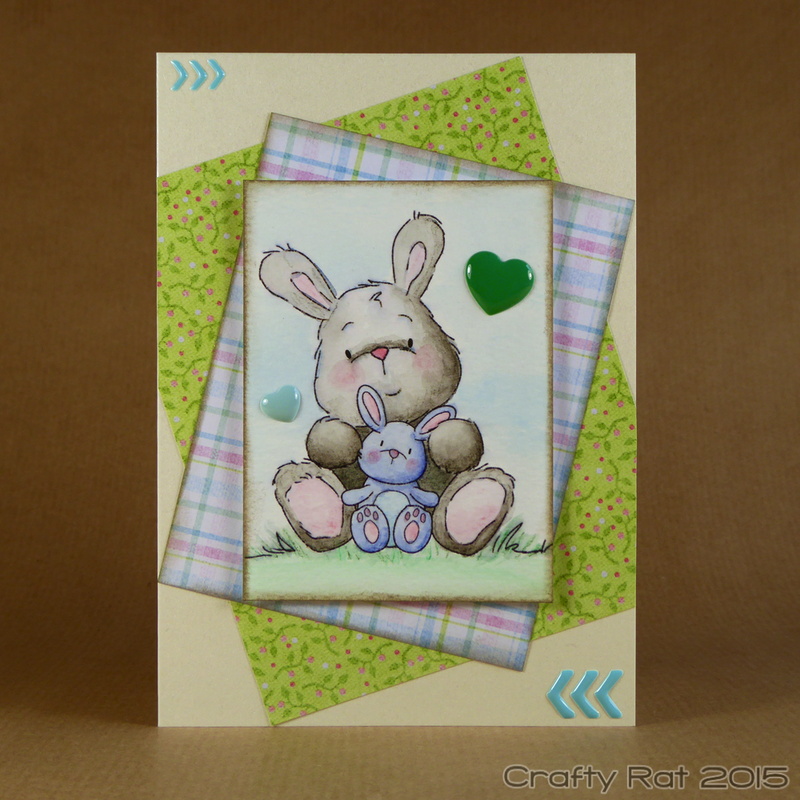 Time for a bit of variety — I’ve been mostly using my Copics during the colouring challenge, so I thought I’d have a bit of a change and break out the Inktense pencils, which seemed like they’d be a good match for this cute bunny digi stamp. The Inktense pencils live up to their name. You really don’t need to put down much colour at all as it quickly brightens up as soon as it is touched by water. And you don’t need much water either. It didn’t take much time at all to colour this image and I really like the finished effect. I trimmed it down and cut a couple of pieces of patterned paper to layer it on. I added a touch of Distress ink around the edges of the image and one of the papers. The papers were stuck flat to the card base and the image was mounted on foam tape. Rather than reach for the sequins, which have been my go-to embellishment recently, I raided my stash of enamels for the final touches.